Well, although we could ramble on for quite some time about the benefits of hiring an agency that specializes in SEO for contractors and that of buying leads, we will keep it short. From our experience, they both have benefits so let’s look at the pros and cons. First, let us look at the upside. Whenever you purchase leads for your business, you get the immediate return on investment. What we mean by that is you pay x dollars for each lead. So say you have a $2000 budget and each lead costs $35. You have just got yourself 57 potential customers that you now have to try and win their business. It is an attractive offer because you spend money and get something almost immediately. Just make sure you are buying swimming pool leads from good sources. Now that we’ve listed the main benefit of purchasing contracting leads, let’s look at the downside. The main downside to buying leads is the dependence. You only have a steady flow of business as long as you keep spending $2000 per month. Not only are you dependent, you are also capped by the amount of leads you can get. You can only buy so many @$35/lead. This may not be an issue if you have a good sales process and have a high closing rate. The second downside is that the lead(customer) has no interaction with your brand prior to the first phone call they receive. There is no opportunity to stand out over your competition and the other contractors who also are following up on that same lead may beat you to the punch. 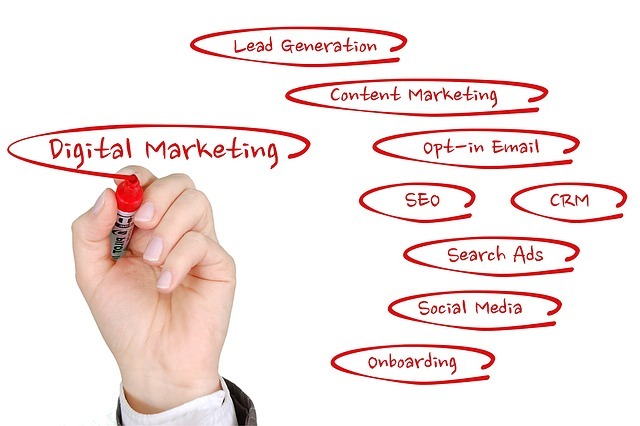 Should You Hire a Marketing Agency to Generate Leads? Now hopefully a contractor marketing agency you are considering offers services like social media marketing, promotional videos and PPC in addition to search engine optimization. For this example let us just look at the major drawbacks to hiring a contractor SEO agency. That drawback is time. Optimizing your website for search engines and working your way to the top takes time. So you may have to invest 3 months worth before you get to the first page and start getting traffic and leads. We decided to go this route solely for the potential but we also bought leads and ran Google PPC ads with good results. The reason SEO is so attractive is that once you get potentials customers finding your website or business profile on Yelp or Houzz, hypothetically there is no limit. So for $2000 a month you could 75+ leads you could get 60 or even more. Theoretically you are only limited by how many people in your market want and/or need your service. We could go on and on about this topic but hopefully you have decided whether buying leads or SEO is right for you contracting company. This entry was posted in Blog, Lead Generation, Search Engine Optimization. Bookmark the permalink.